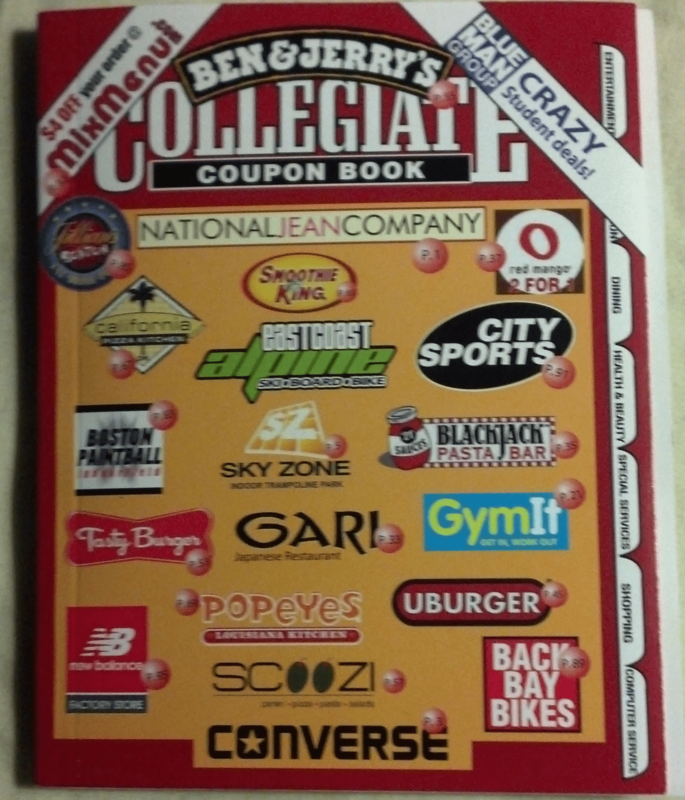 Look out for the Collegiate Coupon Books for Boston! If you’re a college student in the Boston area, keep an eye out for these Ben & Jerry’s Collegiate Coupon Books at your local college. You may want to check with your student activities/student affairs department if you are having trouble finding one & they may be able to point you in the right direction. There is a lot of good discounts and coupons inside, so if you are tight on a budget or want to save a little money, check them out! Some highlights are free storage unit for a month, free bowling at Boston Bowl & Lucky Strike, Free Day License at F-1 Boston, Free Turkey Burger at Tasty Burger, many buy 1 get one free meals at local favorites, and a whole lot more! The majority of coupons expire in January of 2013 so you have plenty of time to take advantage of everything! And if you’re looking for even more college discounts and savings, I have a brand new tab on Boston on Budget specifically for you! It shares a giant list of college discounts from food to fun activities you can get by just using your valid college ID. To see the list of great deals and discounts for college students, please click here. Oh, and welcome back and welcome class of 2016 to Boston!